A museum of torture, a fountain of mercury, a real Egyptian temple, an old cement factory turned into offices and homes hanging from a cliff. These fascinating attractions show another side to Spain, a country with so much to offer visitors. While most people go to museums and art galleries, or hang out on the beach, these unusual attractions wait to be discovered. Toledo in Castilla-La Mancha is a fortified city which was also a place of fierce persecution in the notorious Spanish Inquisition. 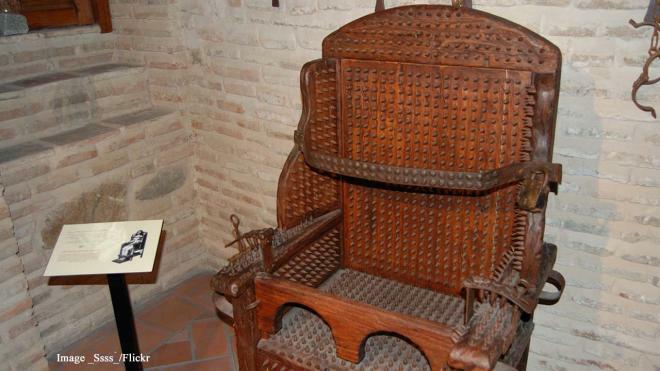 The Museo de la Tortura displays horrifying artefacts used for torturing suspects during that dark period, including the extremely uncomfortable spiked interrogation chair pictured here. Mercury is a toxic substance, but was mined for many years in Almaden, Spain for more than two millennia. 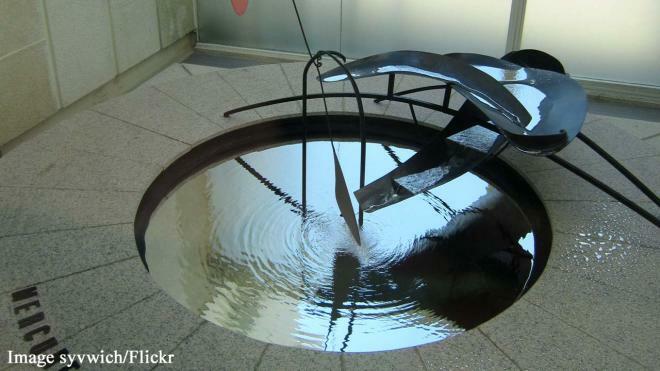 Spain decided to dedicate a monument to the many mine workers who died from mercury poisoning. The beautiful, but deadly, fountain was built by sculptor Alexander Calder and instead of water, the fountain pumps only pure mercury. So beautiful to see, but deadly to touch.